I'm heading out to Florida today for a wedding then some much-needed vacation days. 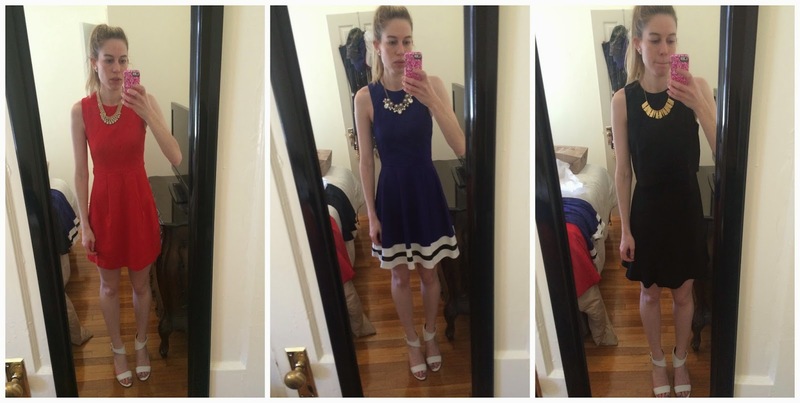 I narrowed down my outfits for the wedding and related festivities to the following -- now I just have to decide which dress to wear to which event! Let me know which you think would be best for the wedding and rehearsal dinner (the third I'm going to save for another wedding next month).